An easy gift for yourself or others made in your own home. Known for its long-time use as a sleep-inducing scent, lavender is a member of the mint family and has been shown to have antiseptic properties. As an essential oil, lavender is one of the few that can be used safely undiluted*, making is one of the best ones to use in DIY body care. Lavender bath salts are simple to make and can be a simple solution for finding a great gift — by making it yourself! Blend the salts together in a large mixing bowl with the baking soda. If you want more colourful bath salts, add food colouring and mix until fully combined. Add the lavender essential oil to the mixture and stir. 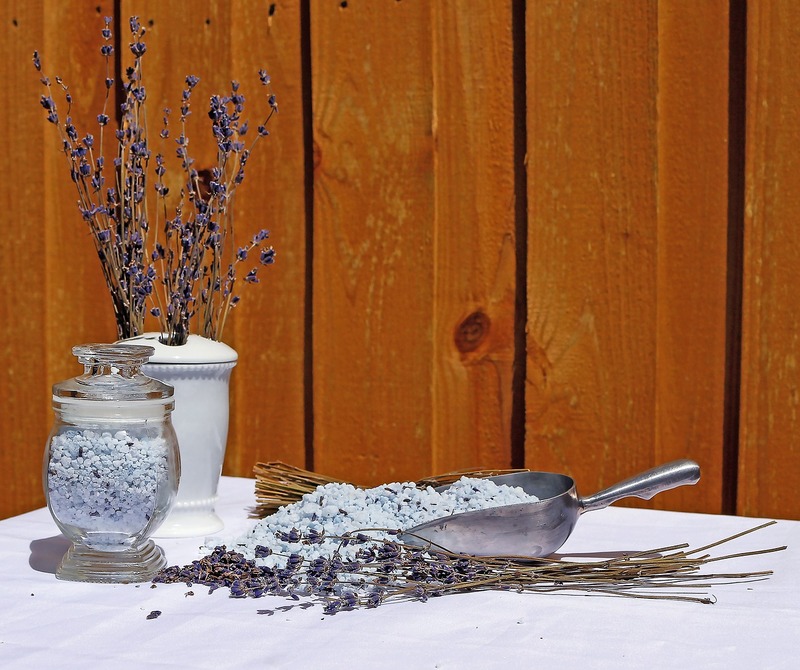 If you are including dried lavender to your bath salts, you can blend it in at this point. Be sure to allow the bath salts to dry fully before adding to a glass jar for storage. *Essential oils are extremely concentrated and should be effectively researched before using, especially when undiluted. Some can cause adverse effects when used directly on the skin. Lavender essential oil, however, is generally considered safe.